Turnkey cottage style 2 story on .97 acre with 145' of hard sand lakeshore. Rare lakeshore with a large flat yard, private setting in a neighborhood. Uniquely designed w/great entertaining spaces. 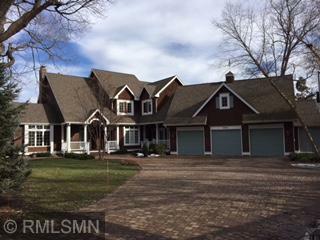 Features updated kitchen w/huge center island & expanses of glass overlooking Carman bay. Upper level features new Master suite. Lower level features 4th BR suite & spa-like amenities; exercise, sauna, plus a large family room complete w/ entertainment, mini kitchen, wine closet & 4 season porch.